"Think it over before giving up your career." Sundance Selects has revealed an official US trailer for the film The Unknown Girl, the latest from French filmmaking brothers Jean-Pierre & Luc Dardenne. This premiered at the Cannes Film Festival in 2016, to mixed reviews from critics, and is just now finally getting a release in the US (after already opening in every other country). Adèle Haenel stars in The Unknown Girl as a young doctor at a clinic. After refusing to open the door after hours, the next morning the police come to question her about a person found dead nearby. She also starts her own obsessive investigation, attempting to figure out the woman's identity. The cast includes Olivier Bonnaud, Jérémie Renier, and Louka Minnella. If you're into the Dardennes' films, it's worth a watch, otherwise it's hard to recommend. The efficient Dr. Jenny Davin works hard and has been chosen to replace Dr. Habran at the Kennedy Hospital. One night, someone rings the bell of her office after-hours and Dr. Davin asks her trainee Julien to not open the door since it does not seem to be an emergency. On the next morning, Police Inspectors request her surveillance tape since a teenager was found dead on the other side of the road and they are investigating what happened. Jenny feels guilty for not opening the door and becomes obsessed to find the teenager's identity. Her investigation affects her relationship with patients that might know something about the unknown girl. 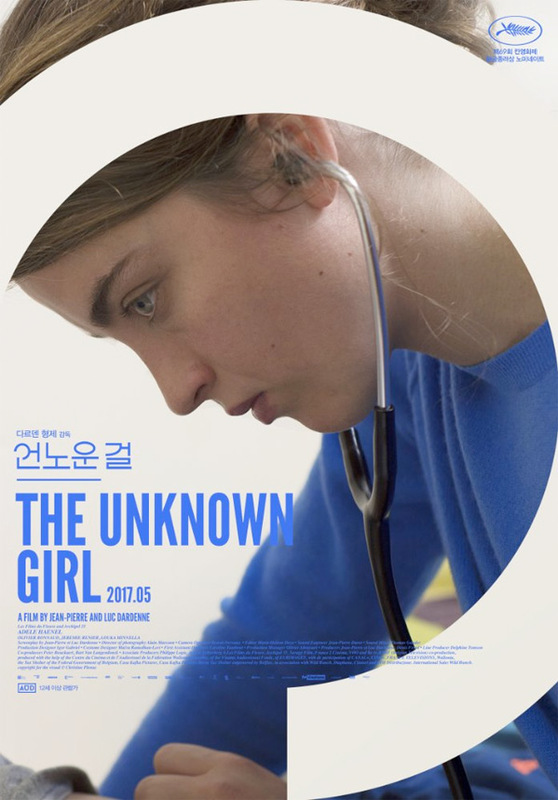 The Unknown Girl is both written and directed by French filmmaking brothers Jean-Pierre & Luc Dardenne, of the films The Kid With a Bike, Lorna's Silence, Darkness, L'Enfant, The Son, Rosetta, The Promise, and Two Days, One Night previously. This first premiered at the Cannes Film Festival last year. Sundance Selects will release The Unknown Girl in select theaters starting August 25th.